Recently I did a “Drugstore Beauty Favorites” video, showing what affordable products I use for my everyday makeup. Since then I've had repeated requests for a FULL makeup tutorial, and tips for finding good deals on makeup. You ask, Mama J delivers! 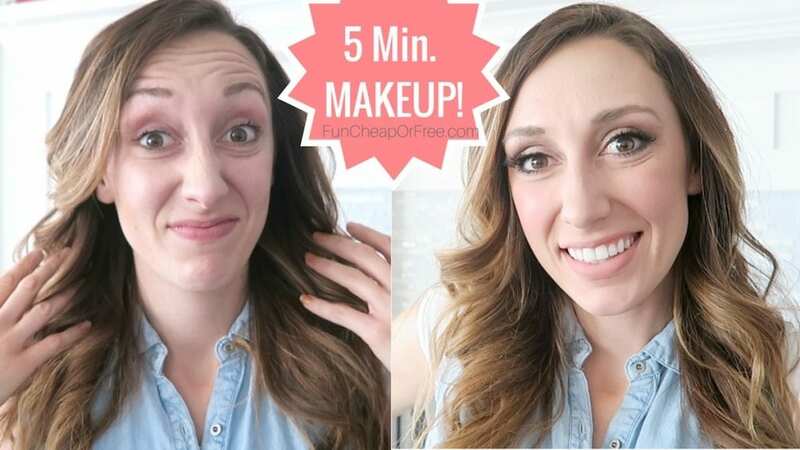 Today I'm showing you my go-to, 5 minute makeup tutorial! I do this look, or slight variations of this look, every single day. This is a full face of makeup including highlighting and contouring, eyeshadow, foundation, blush, and if you give yourself an extra minute or two, even false lashes (which are quicker for me now than doing layers of mascara)! I'm also sharing my serious secrets to finding KILLER deals on my favorite makeup and beauty products. First, see the makeup tutorial! Again, this really can be done in 5-6 minutes, especially if you find you want to cut out a few steps! With time it gets faster and faster, and I'm truly at the point where I just keep my makeup bag in the car and can do it while I'm waiting for my kids to come out of preschool! Get paid for buying makeup! Freebs…I'm beating a dead horse here. I've talked about Ebates a million times before (see HERE especiall!). If you aren't using them, you're CRASZY! Ebates is the largest Cash Back site which partners with over 2,000 of biggest name brands like Sephora, ULTA, Nordstrom, Macy’s, Target, Walmart (even Groupon!) to bring you Cash Back, coupons and promo codes…all for free. 1 – Click through links found on Ebates and then shop on the stores’ websites like you normally would. 3 – Download their app and shop through their app, if you prefer mobile shopping. REMEMBER! You’ll get a $10 Welcome Bonus after you join for free with THIS LINK and place your first purchase of $25 or more. Once you sign up you get your own link that you can share with others, just like how I'm sharing my link with you! You get paid, they get paid, it's genius. 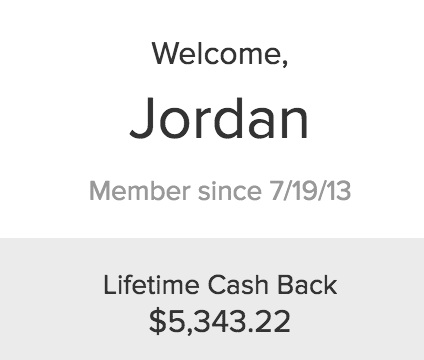 Ebates pays you all of the Cash Back you earn every 3 months in the form of a check or through PayPal. I've earned over $5,000 over the years! Again, it's free. The way Ebates works is that the stores pay Ebates a commission for your purchase, and Ebates shares a percentage of that commission back with you! No catch. Like I said in the video, Ebates is DOUBLING Cash Back for their Black Friday Week promotion from Nov 21-27 at stores like ULTA, Nordstrom, Macy’s, JCPenney, Kohl’s, Old Navy, Nike and many more. Plus, on Black Friday Nov 25th, and on Cyber Monday Nov 28th, over 500 stores will join with Double Cash Back for one day only so be sure to check back at Ebates for those deals. …Have I convinced you yet?? Really though, jump on this wagon with all the cool frugal kids, and thank me later. NOTE: For a drugstore version of this look, GO HERE! Ka Brow cream gel for eyebrows. I got this as a sample in my Ipsy bag and love it! However, for an alternative, I'm still a big fan of my $1 NYC eyebrow pencil too! An old Masckara Beauty brush that she gave me, I'm not sure she sells them any more! So I would use one of the Real Techniques brushes. Stilla Stay All Day liquid lipstick in Bellisima. This is a splurge that I normally would NOT spend, but I've been on the hunt for a LipSense copycat for you and this one is the closest I've gotten so far! Again, for a drugstore version of this look, GO HERE! So there you have it. 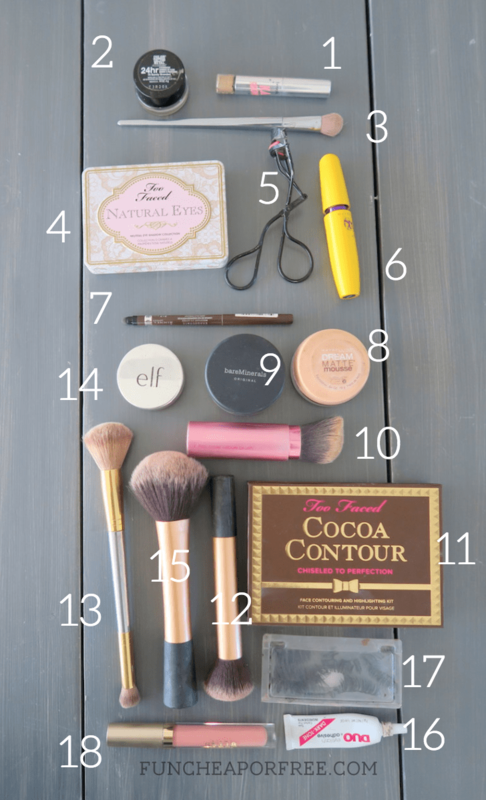 Hopefully that helped give you a better idea of how I do my makeup, and the products I love. Be sure to sign up for Ebates, and have fun shopping this week for Black Friday! Thank you Ebates for sponsoring this video! All ideas and opinions are mine, of course. My go-to lipsense copycat that’s CHEAP enough to get lots of colors is Rimmel’s provocalips. Love it!! OOOH I’ll try it! I’m in search for a cheaper solution! Since you are promoting a product, I think it’s only fair that you be a little more transparent with readers and include that you make $25 everytime someone signs up and uses Ebates. I’m sure people would still sign up! Who doesn’t like helping a friend make some money?!? Yes I agree! I have nothing to hide! I’ll add a blurb about it, just didn’t think about it because everyone else can do the same; that’s how it works. Thanks Ann! Would love to know roughly how long your Bare Minerals foundation lasts! It’s a little more than I usually spend but if it lasts awhile and saves time might be worth it. Thanks so much! I am literally going to buy every single thing you said. Ha! Do you really get the platinum to light blonde ka-brow color? Or is that too light? Just wanted to make sure i’m buying the color you show since I have similar coloring to you. Omg! This video is amazing!! I need the eyeshadow palette!!! What color is the Kabrow you used? Man my makeup still doesn’t seem to look as good as yours but I’m trying at least! thanks for sharing. Thanks for more simple makeup tips. Everything looks so great. I will definitely use these cosmetics in my beauty routine. Thanks for sharing.